Why did the Age of Exploration that eventually led to the European settlement of the Berkshires begin in the 1400’s? Fear, greed and new technology. Finding an alternative to trading through Muslim territory formed a powerful motivation to shift focus beyond the Mediterranean. 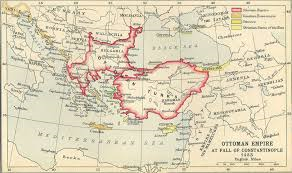 Also, prior to the 15th century, Europe was behind many cultures in what is today the Middle East and Asia in openness to new ideas and technology. While certainly a long way from the 18th century age of science, by the 15th century, the seeds of new openness had been sewn with the Renaissance, the forerunners of Reformation, printing and political shifts from solely religious to more secular leadership. 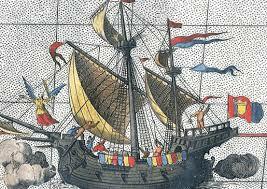 With the completion of the re-conquest of Iberia (Ferdinand and Isabella of Spain)in 1492, the door to Atlantic exploration was wide open. Although Columbus and the Spanish explorers are not entirely relevant to discussion of the exploration of Massachusetts, the conditions that lead to their voyages as well as the excitement their voyages touched off led to voyages that would touch on the Northeast. 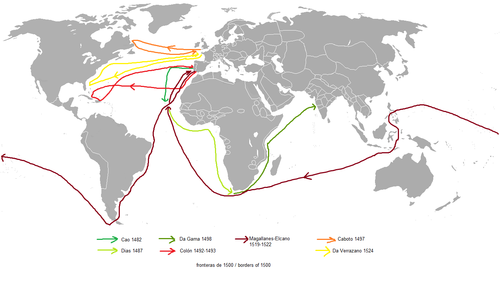 Columbus’s voyage and his glowing (if somewhat fictional descriptions of what he found there) touched off a land rush….or more accurately a trade rush.